The decision of accepting a proposal of moving abroad due to work is a tough one. Moving to a different country with different traditions and culture can be hard on the expatriate and family. Moving an expat to Brazil is no different. Brazilian culture can be hard on the ones that are not prepared for it, but it will captivate you in ways that you have never imagined! From their warming hospitality to the Brazilian jeitinho (Brazilian ways to get through bureaucracy), their culture and traditions are very Latin. 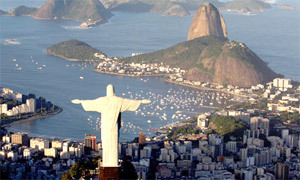 However, in the business world, Brazil has become very westernized and follows the pattern of the developed nations. In the big corporate centers, Brazilians dress and behave within the international business norms, which makes much easier for the expats to adapt. Still, all the co-workers will get together once a week to go on happy hours and talk about the performance of their favorite soccer team. RN 99: Temporary work visa with employment relationship with a Brazilian company. The qualification of the employee for the job role applied will be verified through diplomas and certificates as well as the applicant’s experience in this determined function. RN100: 90 days temporary work visa without employment relationship with Brazilian company. Visa allows employee to assist in the transference of technology from abroad or to perform technical assistance. RN61: 30 days temporary work visa without employment relationship with Brazilian company. Visa allows employee to come for an emergency technical assistance service. RN62: Permanent work visa with employment relationship with Brazilian company. Visa issued to executive, director or manager who will represent the company in Brazil. Thus, in order to have a successful immigration process to Brazil it is important to stay aware of the culture and customs of its people in order to the work relationships and social life run smoothly. On the other hand, the right immigration status is also crucial to a stress free and productive life abroad.